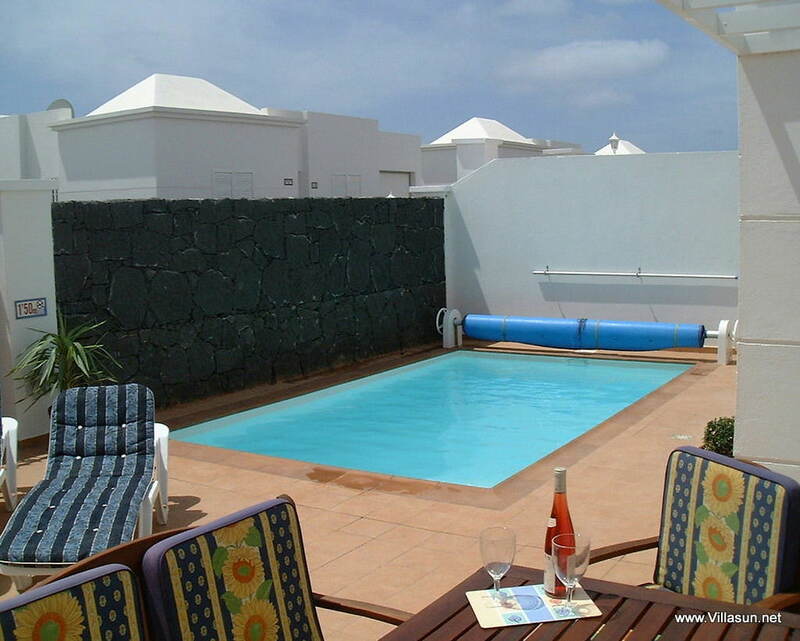 Our 4 bedroom villa properties are located on the same private road as our 3 bedroom villa. 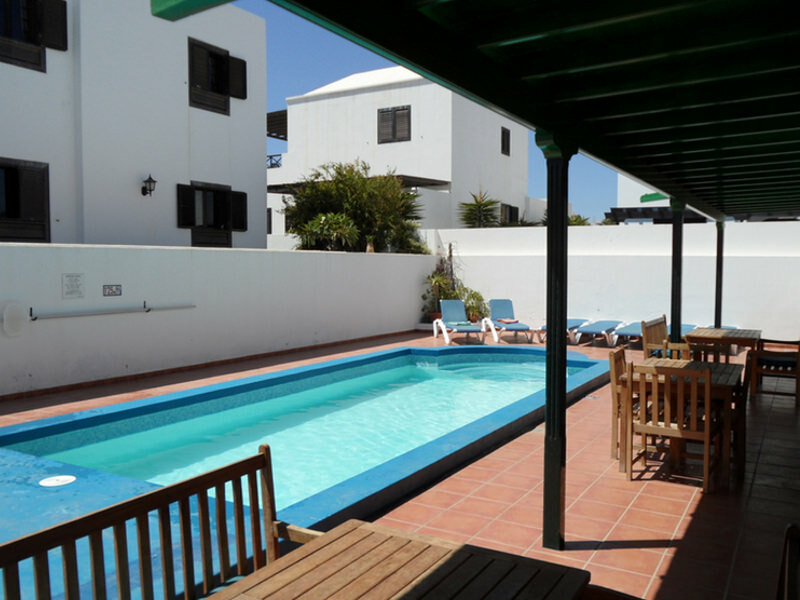 The larger 4 bedroom villa properties are brilliant for bigger parties or smaller groups who simply want a bit more space. Able to comfortably sleep between 8 and 9 people, our 4 bedroom villas are also available to customers for a reduced cost when our 3 bedroom villas are fully booked, helping you to avoid disappointment when booking during busy periods. 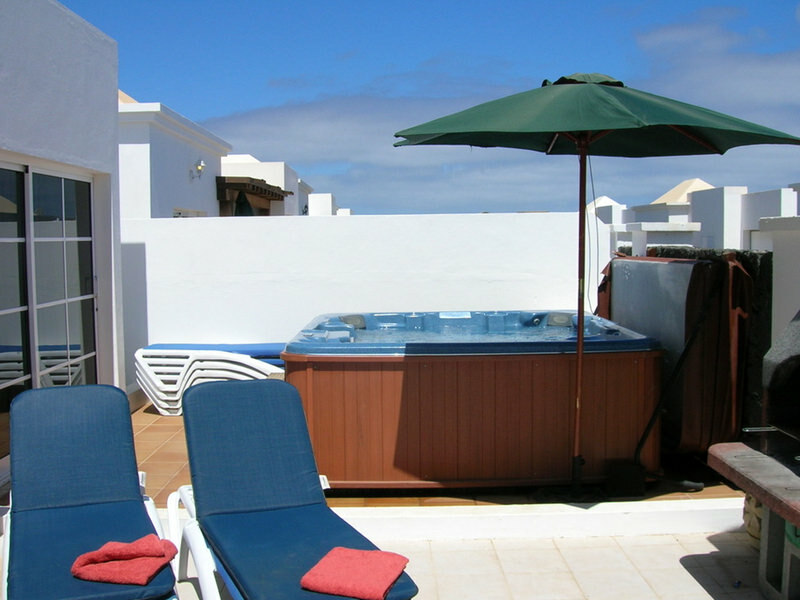 Each 4 bedroom villa boasts a fully fitted kitchen complete with washing machine and dishwasher. Sleeping space comes in the form of a king sized bedroom and 3 twin bedrooms, so there is more than enough room for people to unwind in private. Smaller children can rest easy too with cots and highchairs available should you need them. Accompanying the bedrooms are two conveniently placed bathrooms fitted with both bath and shower facilities. Giving you the option to have a quick shower or relaxing soak. All our 4 bedroom villa properties have a large living room complete with leather sofas, TV with English speaking channels. Then for the more technical guests who still want to surf the internet on holiday, we provide a free Wi-Fi service. 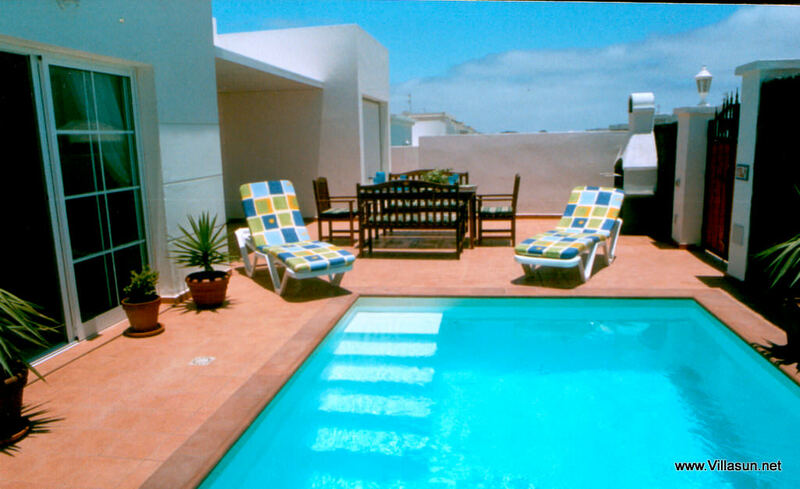 Outside there is an enclosed yard with a large patio terrace. 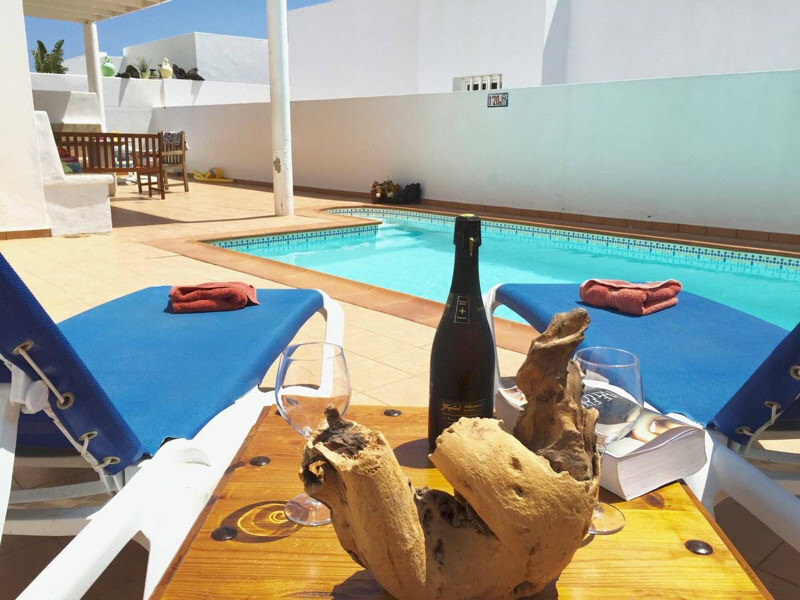 The included sun loungers give you the perfect place for relaxing and soaking up the glorious Lanzarote sun, whilst the BBQ gives you a great alternative to cooking in the kitchen if you decide not to take advantage of one of the resorts many restaurants. 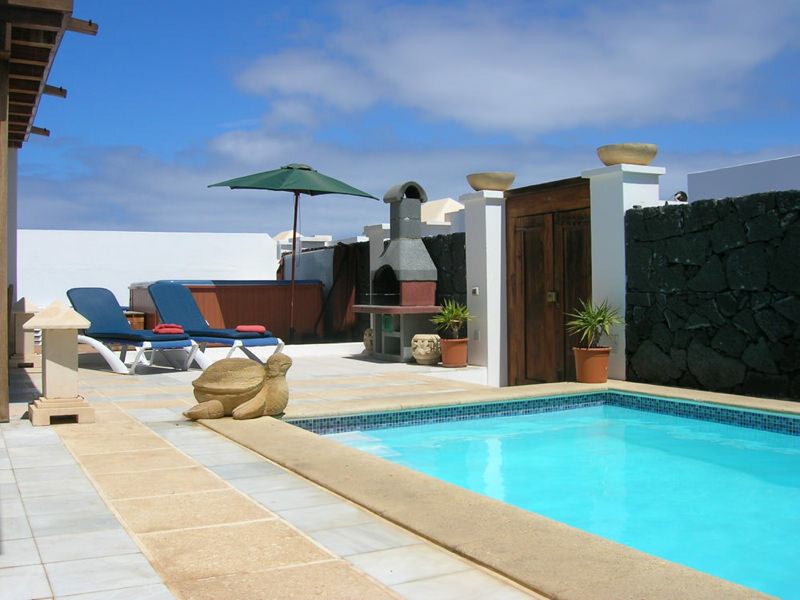 If you need to cool off each villa has its own heated pool perfect for a morning dip or keeping the kids entertained. 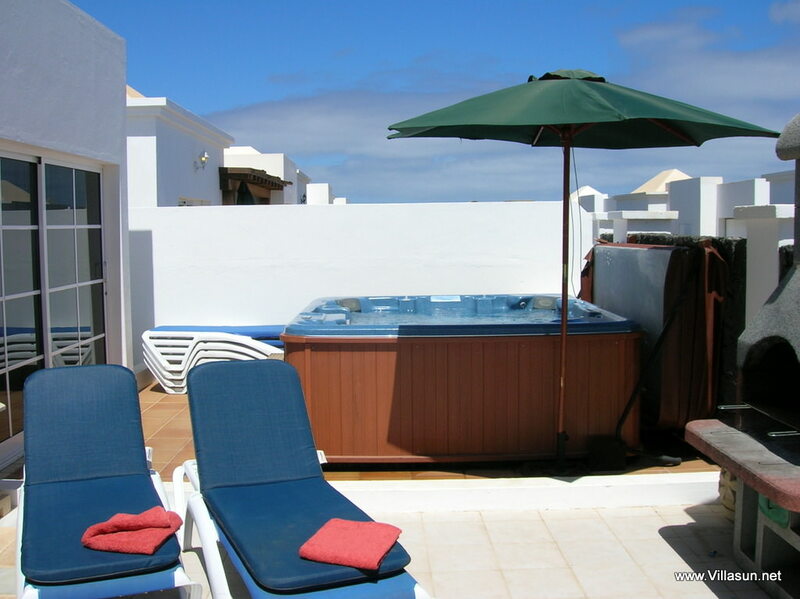 For a small additional cost we can even provide a poolside hot tub, as if relaxing in Lanzarote wasn’t easy enough! To make preparing to travel easier we will even provide you with complimentary towels and a hairdryer to give you less to try and fit in your suitcase. Upon your arrival to any of our villas you will be presented with a fantastic welcome pack free of charge, which contains an array of drinks and snacks to get your stay off to the right start.